So far we have discussed about moisture traveling though foundation elements (foundation itself, foundation wall etc.) not considering soluble salt in moisture. Now our concern is salt intrusion through foundation with moisture migration. With these, more than twenty compounds are reported to found on masonry foundation wall in crystallized form. • Or any other source like parameter drains etc. When sufficient moisture is available to dissolve salts, the system requires a migration path to travel them toward surface where leaving salt, moisture is evaporated. The leaving salt means crystallized salt on the surface. The three conditions we provided here, if one is missing salt bloom is not formed. 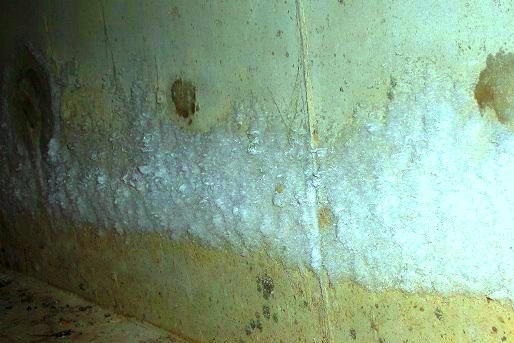 This formation of salt bloom often damage wall surface. This evaporation process is repeated to deposit more and more salt on the surface, even inside the cover or rock. 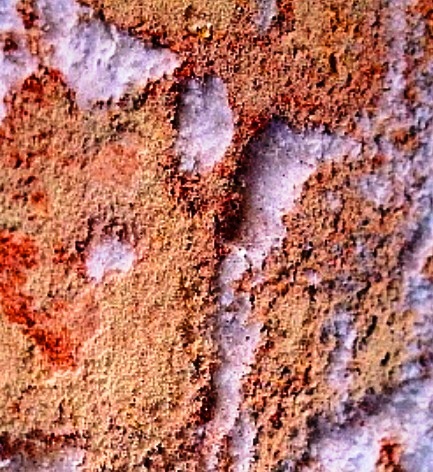 This salt build-up in turn flakes off covering of mortar and rock materials. It can be concluded, on the other hand, that if we find bloom, there must have moisture movement in foundation wall and have sufficient source of salt and have a migration path. In case of existing foundation wall, we have to focus on moisture source in the ambient environment both in surrounding soil and logged water or other sources of moisture.